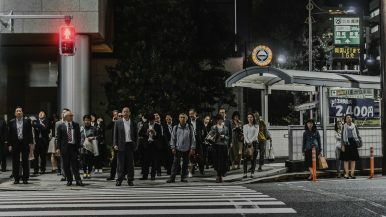 The World Economic Forum’s (WEF) latest global gender gap index measuring the degree of gender equality has placed Japan at 110 out of 149 countries. Although the ranking improved four places from the previous year — mainly thanks to narrowing gender wage disparity — Japan faired the lowest among G7 industrialized nations. Now questions are being raised over the sluggish speed of improvement, particularly in the ratio of women in the workplace and declining political representation of women. For 10 consecutive years, Iceland retained first place as the most gender equal country while Yemen was ranked at the bottom with the largest disparity between men and women. Lower middle income countries such as India — which was named the most dangerous in the world for women — performed better than Japan, coming in at 108th place. China also narrowly came ahead of Japan, securing 103rd place. The WEF measures overall gender equality from 14 categories within education, health, economy, and politics. Key components include gendered educational opportunities, average life expectancy, literacy rate, wage disparity, proportion of female parliamentarians and ratio women in the workplace. Japan achieved marginal gains in reducing wage disparities and in the number of women in technical and executive jobs. This is in part due to new initiatives in 2018 obligating companies with 25 or more employees to introduce the same wages for male and female workers. In 2010 a law was passed aimed at companies with over 50 employees to ensure 40 percent of managerial positions are filled by women. This was also followed up with a law to promote women’s participation in the workplace in 2016 that is slowly having its desired effect by encouraging businesses with more than 301 employees to set numerical targets for hiring female workers. None of these laws carry legal penalties for inaction, however. In the five years since Prime Minister Shinzo Abe first promoted women’s active participation in the workplace, Japan’s ranking in the labor market remains stagnant. Japan slipped from 114 to 117 in the field of women’s economic advancement — unable to keep up with the progress made in other countries, where disparities are narrowing. In the United States, while women make approximately 40 percent of workers in management roles, that number is merely 10 percent in Japan. The World Bank estimates gender disparity in income contributes to the loss of $160 trillion dollars in wealth from 141 countries in total. In Japan’s case the hurdles to making the workplace more attractive to women are rigid working conditions for mothers responsible for childcare and the expectation of unpaid overtime which has traditionally been a key characteristic to the male dominated Japanese work culture. The WEF’s evaluation of Japan’s gender equality in education and literacy revealed high scores in primary and secondary enrollments recognizing an essentially zero gender gap. In the overall field of education, Japan was ranked 65 out of 149 countries but in higher education Japan was evaluated poorly although the gender gap has been shrinking year by year. According to the Ministry of Education 2018 survey, girls made up 45.1 percent of the university undergraduate students — the highest to date. While women’s entry into higher education should indicate greater economic independence, women tend to give up their positions prematurely in exchange for full time motherhood leaving an enormous pool of unused labor. Japan’s declining representation of women in politics is the main obstacle behind its overall ranking sluggishness ultimately offsetting the developments made in wage disparity. When it comes to women in politics, Japan’s progress worsened from 124 to 125th place lagging behind the Philippines, Laos, the Bahamas, Colombia and Jamaica. While countries such as Canada, France and Iceland have nearly gender-balanced cabinets, Abe’s new cabinet reshuffle in October failed to appoint more than one women, contradicting the administration’s “womenomics” growth strategy designed to “ensure women shine in society.” In 2014, there were five female cabinet ministers, a peak. The government aims to raise female electoral candidates to 30 percent by 2020. In the lead up, lawmakers unanimously voted in May to enact legislation to balance the male and female candidates at elections. But at this rate the WEF estimates it will take 108 years to eliminate global gender inequality in politics, health and education and 208 years to eliminate economic disparity between the sexes. After years of community pressure to raise awareness, abuse victims are speaking out in record numbers.